Welcome to Domaines Vinsmoselle. 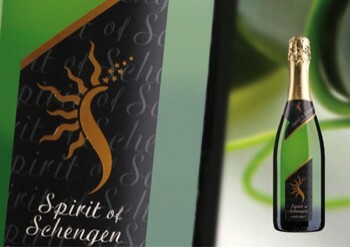 We are delighted to welcome you to our website and we wish you a good discovery of our Luxembourg wines and Crémants. 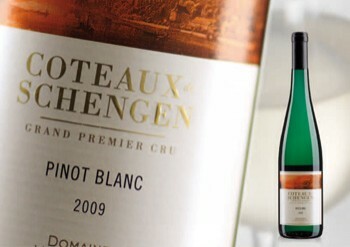 Responsible consumption is as important to us as the quality of our wines and Crémants. Thus, please confirm that you are at least 18 years old or that you have reached the legal minimum age for alcohol consumption in your country. 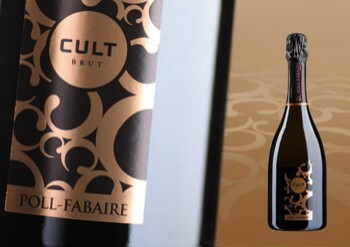 Discover the wines of the Vinsmoselle ! 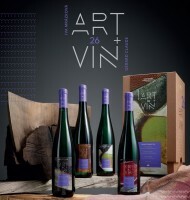 the Art & Vin collection is now in its 26th edition. This year, Art & Vin 26 is honouring two artists of two different nationalities. The first, Iva Mrázková, is Czech. The second, Gérard Claude, is Luxembourgish. Did you know that the Czech Republic and Luxembourg are actually closely linked through history? Perhaps you might have noticed the face of Charles IV, the famous emperor of the Holy Roman Empire in the 14th century, on 100 Czech koruna notes. This lover of the arts and humanities never tired of embellishing Prague, the imperial capital of the time, be- queathing it a rich architectural heritage. The emperor was thus behind the construction of the famous Charles bridge, which has become one of Prague’s enduring symbols. But maybe you didn’t know that Charles IV was none other than the son of John the Blind, King of Bohemia and Count of Luxembourg. John the Blind was the archetype of the chivalrous ideal in vogue in the 14th century, and in 1340 he founded the “Schueberfouer”, the annual fun fair that still takes place today in Luxembourg. 700 years after the birth of Charles IV, Art & Vin 26 brings this shared history between the Czech Republic and Luxembourg back to life, by inviting two local artists to express their art by working on the same exceptional box set. Iva Mrázková, with her fabrics and painting, and Gérard Claude, with his wood sculptures, offer a showcase that combines history and expertise with these exceptional wines, created using the best grape vari- eties from Luxembourg’s Moselle region.